The Seeds of Change Enterprise Development Programme is an intervention aimed at improving entrepreneurship in South Africa. The programme runs for 3 years and includes a vigorous search and selection process, an incubation process including intensive training; mentoring and coaching; and interest free seed capital. 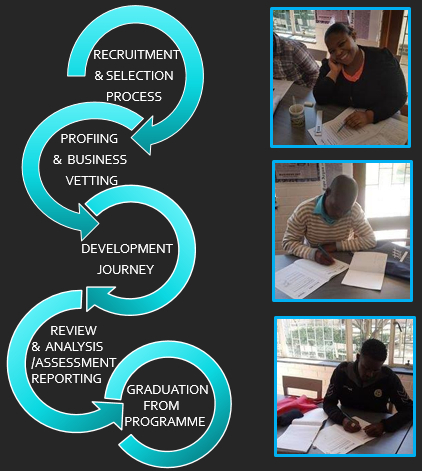 The programme’s ultimate goal is to develop entrepreneurship by assisting SMME to grow from start-up level to SME level, building survivalist businesses into sustainable organisations that can offer job opportunities and create local economic growth within disadvantaged communities.